I was in Hobart, Tasmania this week and a friend mentioned at dinner that he’d just picked up a new biography of Paul McCartney. “What new biography?” I said, as I’d not heard of it. “Oh, its just been released. Looks good”, said he. 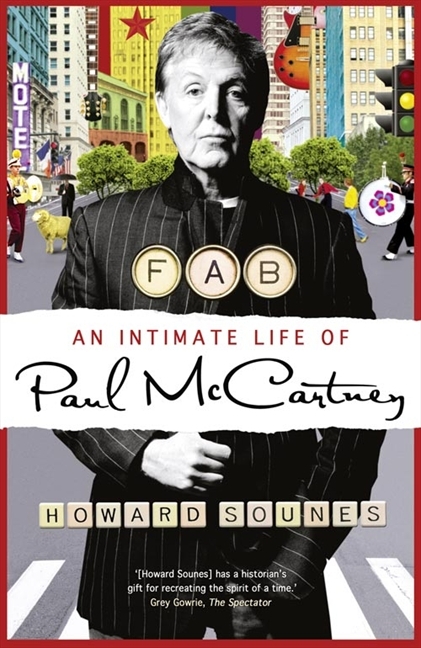 Front cover "FAB: An Intimate Life of Paul Mccartney"
As you can see from the Australian and UK cover above (yes, I bought a copy), it’s called “FAB: An Intimate Life of Paul McCartney”, written by Howard Sounes. Harper Collins is the Australian publisher and their website says it was published here and in the UK only very recently – on 25 August, 2010. Until this week, I’d never heard of it! It has certainly flown under the radar as there hasn’t been much written about it in the lead-up to its release. At least, it flew under my Beatles radar…. As one reviewer asked, does the world need another Paul McCartney biography? The answer is that while this one does trawl through the early days once more, it brings us up right up to date with what has been a prolific and interesting later career. In fact the work includes “Electric Arguments”, “Good Evening New York City”, the Beatles Remastered releases, and his illustrated children’s book “High in the Clouds” released last year. And it is big – 634 pages. I only got it yesterday – so a review will be coming later. If you’d like to get a taste Sounes, who worked as a journalist for the Daily Mail in England, has published lengthy extracts from the book that you can read here and here. His other books include “Down the Highway: The Life Of Bob Dylan”. 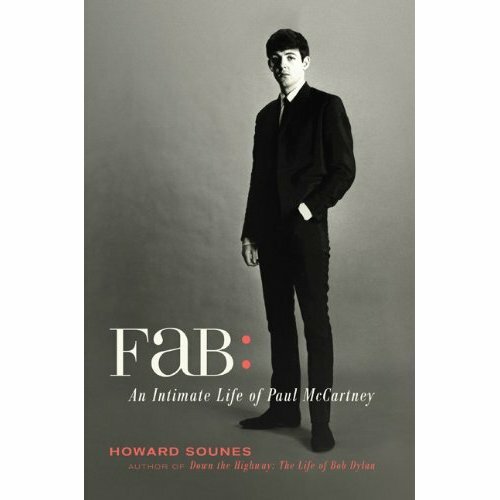 Beatlesnews has also published a short article about author Howard Sounes and this new McCartney book. The Liverpool Echo has published an interview with the author. And there’s a very good review of the book by Simon Sweetman here. This entry was posted in Beatles, Beatles Books, Beatles Collecting, Beatles Music, Beatles Related, Paul McCartney, The Fireman and tagged Beatles Books, Beatles Collecting, Beatles Related, Beatles Remastered, Beatles Stereo, Bob Dylan, FAB An Intimate Life of Paul McCartney, Howard Sounes, Paul McCartney, The Fireman by beatlesblogger. Bookmark the permalink. I can’t wait to read it. Though I’m disappointed by the cover that we in the US get. It’s so boring. But anyway, I just found this blog, and being a CRAZY-HUGE fan of The Beatles, I will definitely be reading. Check our our own Book report on this work. Groove 107.7FM in Wellington does book reviews and we have published the transcript of this one on our site. See what you think.